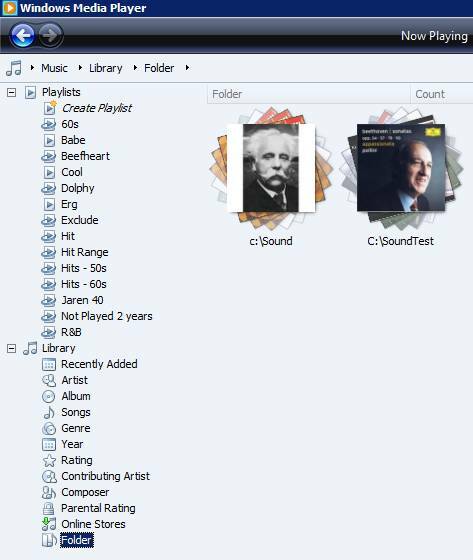 A audio collection can become quite large, you have as many files as you have songs. To scan all these file takes a substantial amount of time. The big trick is to store all the meta information (tags) into a small database. That’s the function of the Library. The reverse is also true, if you edit the meta data, the edits are stored in the library and written in tags in the audio file. Not all of the meta data is written in tags and not all of them are written in the same way. It is possible that the content of the tags and the content of the library run out of sync. Apply media information changes forces WMP to write the tags. Rescanning the monitored folders forces a read of all the tags. There is no cross reference option which checks if the songs in the library have a corresponding audio file on the HD and visa versa. WMP11 can cope with huge collections. However, a user complained about unstable behaviour when having more then 120.000 songs in the library. I have a problem with the Library. 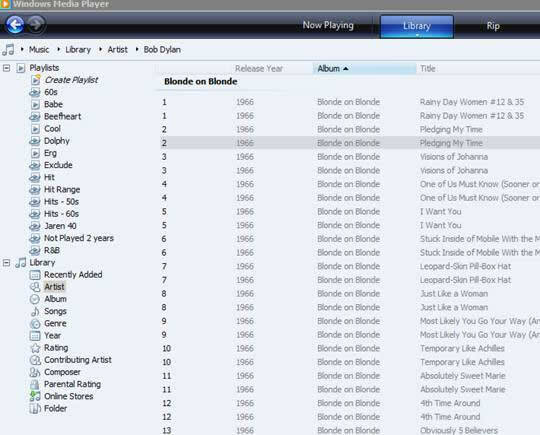 When I have over 120 000 songs in the library the Song view get crazy. I cant sort the songs and when I search for songtitels and try to play a song the player choose randomly. After deleting some songs to get under 120 000 again everything work just fine. I have tried to add songs again but then the problems get back. I hope that there is someone who know how to add over 120 000 songs in the library without problems. The maximum library (CurrentDatabase_360.wmdb) file size for WMP11 is 1GB. A users hit this limitation having a collection of 250.000 songs. If you use a tagging program like MP3Tag, WMP will notice any change in the tags as long as the files are in a monitored folder. 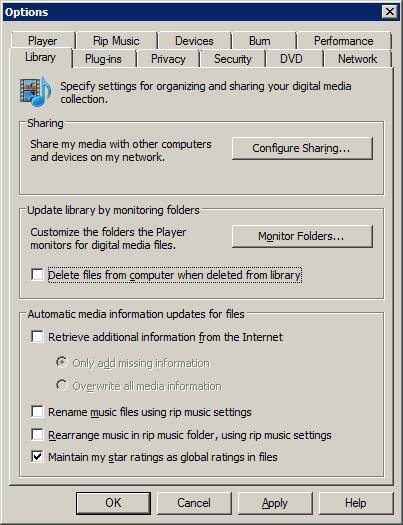 If you use Explorer and drag a song from a monitored folder to another (non-monitored) folder, WMP keep track of it. 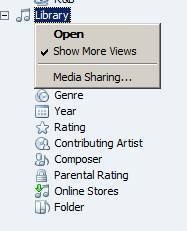 If you use Explorer to select a song (not in a monitored folder) and play it, it will be added to the library. Often users complain about double entries in the library. If you have your music in C:\Sound and move the audio files to another directory or another hard disk, the library will probably contain both the old and the new entry. Removing the old folder from the monitored folders might cure this. If everything fails you, you might try the following. - Check if these doubles are in different directories. An easy way to do this is to turn on the FilePath column. Delete directories no longer valid. A save practice is to have “Delete files from computer when deleted from library” unchecked. If you delete a song by mistake, check the trash bin. If you have stray entries, nothing will be added to the library, etc. it might be that the library is corrupted. You can rename the folder and restart WMP. If a delete fails, it is probably locked by the WMPNetworkSvc service. Stopping media sharing in WMP will cure this. If not, stop this service manually and you can delete the library.